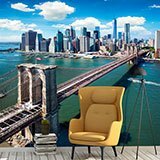 Wall mural Over the Brooklyn Bridge. 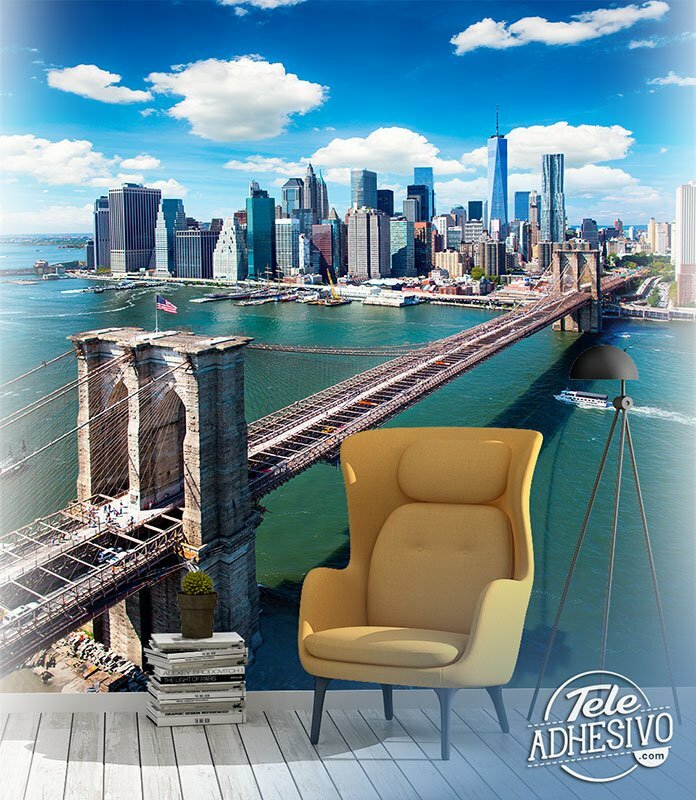 Fantastic aerial photograph of the Brooklyn Bridge with a magnificent view of Manhattan in the background. Built between 1870 and 1883, it was the first to be suspended by steel cables. 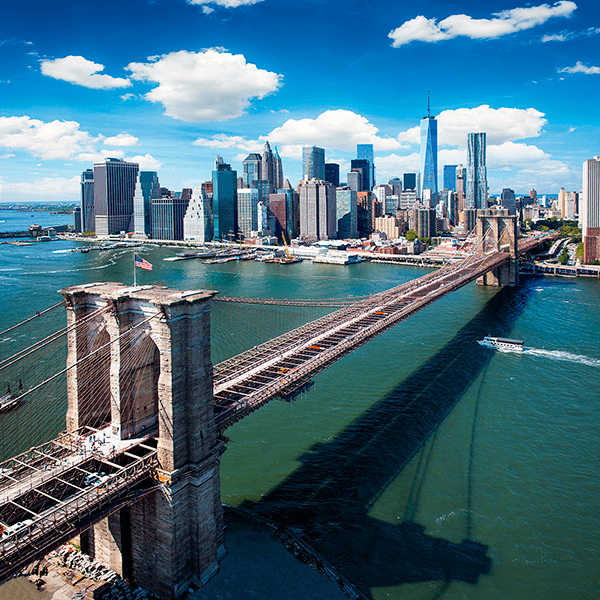 It has become one of New York's most recognizable symbols.